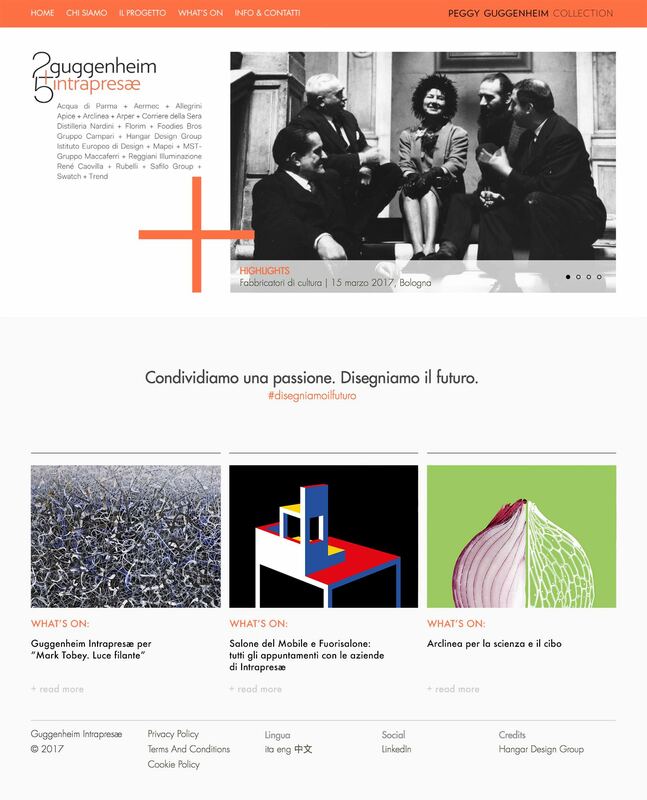 Hangar Design Group redesigns the Guggenheim Intrapresæ website. 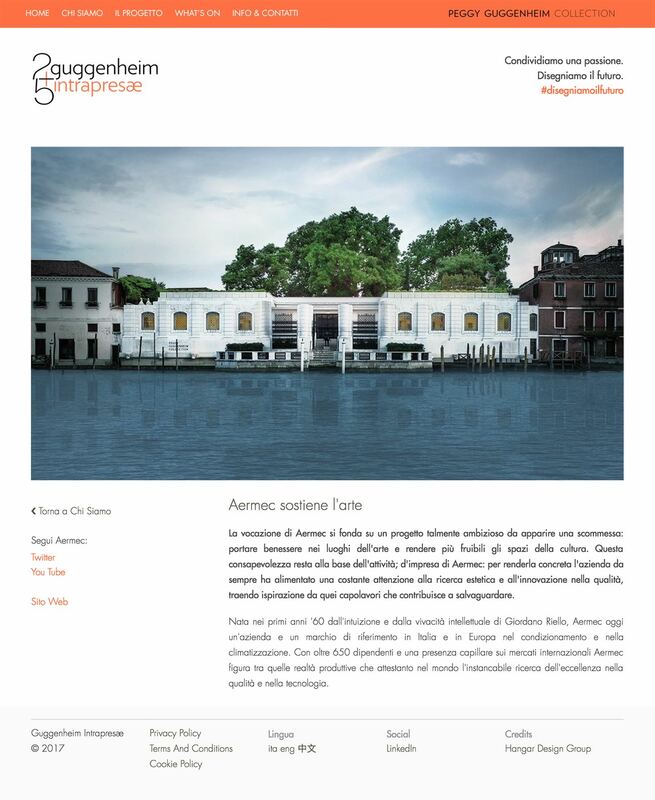 Intrapresae is the group of companies supporting the Venetian Peggy Guggenheim’s Collection. The new digital platform showcases a story of sharing and supporting the passion for art. 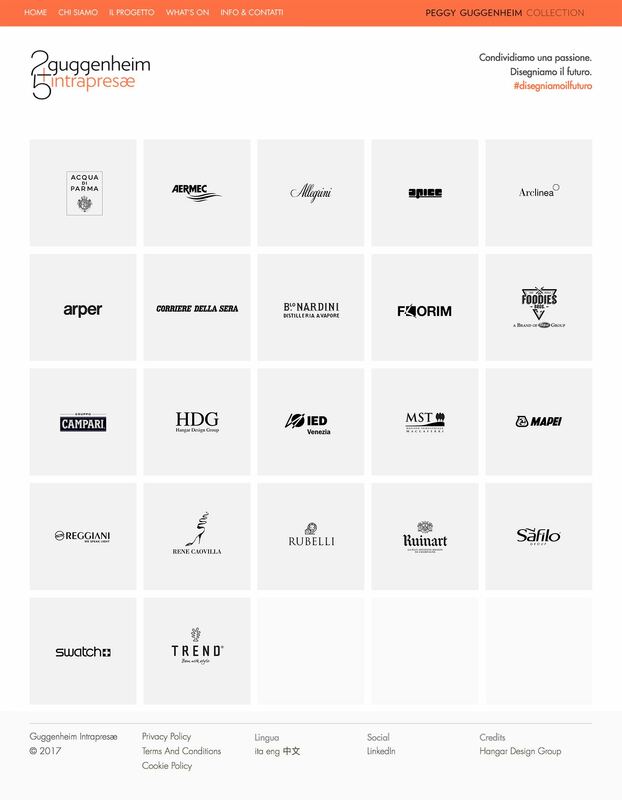 On the homepage the brand is expressed through a simple “+”: not only a graphic element, but a concept of synthetic addition that emphasizes the strategic importance of the relationship between art and business.